Transport options within and around Tucson are excellent and although it is a spread out city, Tucson offers many different ways to travel about. The city has an international airport located close to downtown Tucson, as well as Greyhound bus travel and Amtrak rail access. Major interstate highways feed the city from other notable US cities and from Mexico, while for transport within the city, visitors have the option of bus travel, electric trolleys and taxis. 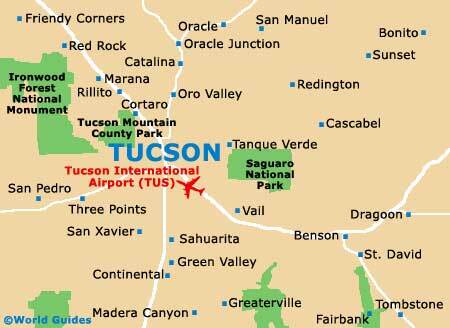 Tucson International Airport is situated southeast of downtown and is easily reachable by road and public transport. There are a few daily international flights here from Europe, although many arrive at larger American air hubs, such as Phoenix or LAX. Flights arrive at Tucson Airport from all over the country with major carriers including American Airlines, Continental, Delta, Northwest / KLM and United. Taxi travel, shuttles and regular buses are available for transfers into Tucson city center and its hotels, while many of the larger accommodation options offer free transfer services. By road, you can travel north along Highway 19, from the airport to downtown Tucson, while Valencia Road West, I-19 and I-10 north also provide travel to and from the city. Renting a car while in Tucson is a good idea as many of the attractions are spread out. Major car rental transport companies have offices at Tucson Airport and there are also some offices downtown. Tucson is also well served by interstates and highways, and if you are driving from Los Angeles, you can travel along the I-10 through Phoenix. 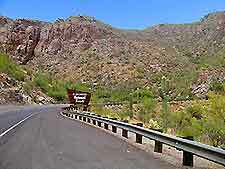 Interstate 17 provides access from Flagstaff, while I-19 travels as far as the Mexican border, linking up with route 15. Finding a parking space in downtown Tucson is fairly straightforward and parking fees are low. Book your Tucson Car Rental here. Traveling to Tucson by bus from elsewhere in the United States is the cheapest transport option for budget conscious visitors, as well as being the most uncomfortable. Greyhound buses travel here from many major centers, either directly or indirectly. The bus station is located at the Ronstadt Transit Center on Congress Street and numerous services operate from here including, Sun Tran public buses. Well-priced day passes for bus travel are available. You can reach Tucson by rail, with Amtrak's Sunset Limited service running all the way from Orlando to Los Angeles via Tucson. Traveling by train is a lot more comfortable than bus travel and you get to see more in the way of desert scenery. 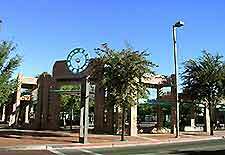 The train station is situated in the center of downtown Tucson, near many of the city's major attractions. The Old Pueblo Trolley electric streetcars provide limited transport around Tucson and operate from Fridays to Sundays, starting at various hours. In addition, Tucson Inner City Express Transit, or TICET, provides convenient, free travel around the downtown area of the city. Distances across Tucson are huge and continually using taxis to travel around may prove to be expensive. Taxis are available at Tucson Airport outside the baggage collection area, while you can also call to book one in advance. AAA Yellow Cabs and Allstate Cabs are established and reliable taxi firms in the Tucson area.